Arrest these people, put them in jail and shut those organizations down! Start investigating these organizations and freeze their assets and shut 'em down! Go act like barbarians on the other side of the border! WE HAVE LAW AND ORDER HERE AND WE ARE SICK OF THESE PEOPLE DESTROYING OUR COUNTRY AND OUR PROPERTY! I can only find 2 articles about this. Where is the media? This is a complete take over of our country, it is out of control, no law and order. Shut these detention centers down and deport these illegal aliens on the spot! They are THEIR President's responsibility! Let HIM look those kids in their eyes...they are HIS citizens...not ours! GO MOUTH OF AND PROTEST IN MEXICO AND CENTRAL AMERICA! TAKE YOUR SIGNS AND GO RESIST THERE! Thousands of dollars of donations have been made to the U.S. Border Patrol Museum in Texas since it was vandalized last weekend. The museum has received $15,000 in the six days since protesters trashed the facility in El Paso, Texas. 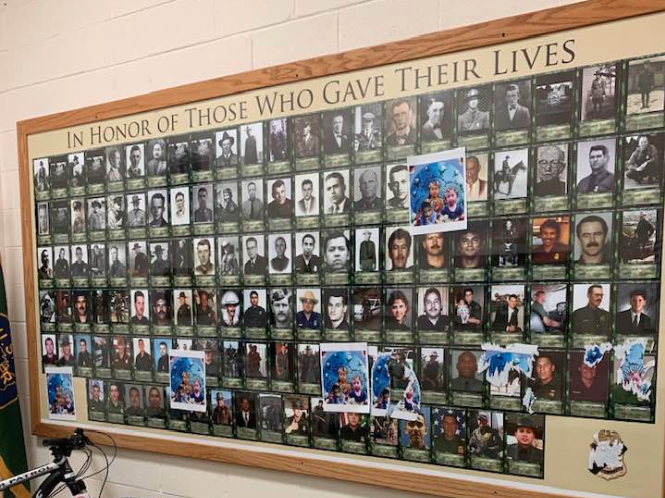 Damage done by vandals included pasting pictures on the walls, including onto pictures of some Border Patrol agents who died in the line of duty. "An unintended consequence of this, and it’s a good thing: We’re getting a lot of PayPal contributions," the museum's director, David Ham, told the Washington Examiner. The museum is also receiving financial gifts from the Border Patrol Foundation, the Border Patrol Family Network, and at least one crowdfunding site. Nuri Vitiello, founder of the Border Patrol Family Network and wife of former national Border Patrol Chief Ron Vitiello, said it was painful to learn that the museum's memorial room was damaged. "I was mortified because I've gone with so many surviving families and I've realized this is their place," said Vitiello, who oversees a group that connects thousands of Border Patrol spouses and families nationwide. "We can go anytime and the memorial — where your fallen are honored — they're always there." "So when I found out about the damage that was caused to that wall, I was just heartbroken," she said. Vitiello visited the museum last year, and two children whose father is memorialized in the remembrance room gave her a tour of the space. She posted the video on the organization's Facebook page and has had $3,500 in donations come through for the museum. 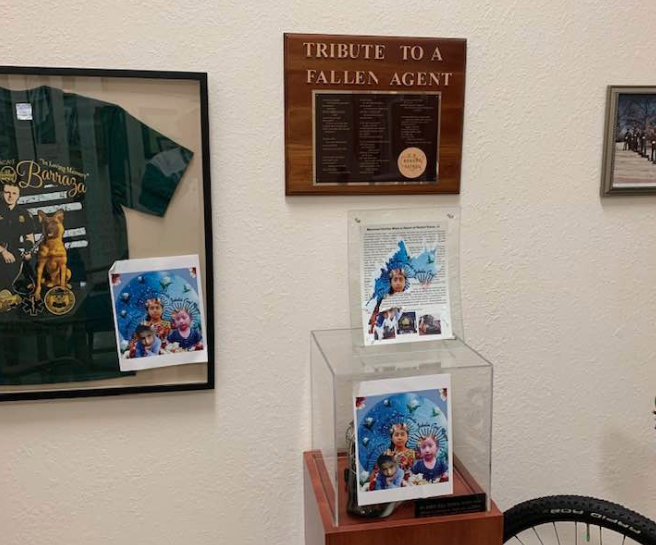 Border Patrol Foundation Executive Director Shannon Staples agreed the defacing of the memorial room was the "hardest to see." "Agents who have given their lives in the line of duty protecting this country and their families who were left behind were disrespected in a way that is beyond comprehension," Staples wrote in an email. The foundation has had supporters give $6,300 to help the museum, which is apolitical and not federally funded. The rest of the donations have gone through the museum's PayPal page. The Border Patrol is 94 years old. The museum was established in 1985 in the basement of a building in downtown El Paso. In 1994, it opened its doors in a new 10,000-square-foot building just outside city limits. It is open daily and free to the public. Federal investigators have shut down the museum all week as they document the damage done to more than 110 pictures and property damage. Because the museum is based on Fort Bliss, charges against those who protested at the scene could be filed by the FBI if they decide there is a case. Families of agents and retired personnel living near El Paso plan to help the museum clean up once the investigation has been concluded. Because the museum is based on Fort Bliss, charges against those who protested at the scene could be filed by the FBI if they decide there is a case. EL PASO, Texas (KTSM) - Investigators are still looking for the group of protestors who allegedly damaged artifacts of a Northeast El Paso Border Patrol museum last month. According to a news release, it happened on Feb. 16 at the museum located on Transmountain. Police say the protestors allegedly glued more than 100 flyers to the artifacts and damaged several displays. The group also reportedly refused to listen to employees' requests to leave the museum. The damage is estimated at about $2,500. Anyone with information is asked to call Crime Stoppers of El Paso immediately at 566-8477(TIPS), or on-line at www.crimestoppersofelpaso.org. You will remain anonymous and, if your tip leads to an arrest, you can qualify for a cash reward. UPDATE: After demanding everyone's IDs, collecting personal information, and looking for warrants and immigration status, the military police have let our people go from the Border Patrol Museum parking lot. Thank you all for your support. We have a weekend full of actions, stay tuned! El Paso ........ Democrat presidential candidate Beto's home turf.